Munich, Germany. November 28, 2018. ADVA (FSE: ADV) today answered soaring demand for cloud and mobile connectivity with two new edge devices. The new solutions bring 100Gbit/s service aggregation to the edge of data center and metro networks, boosting capacity and flexibility and creating a 5G-ready infrastructure. 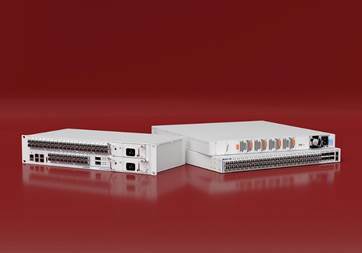 Firstly, the ADVA FSP 150-XG480 is a 1.6Tbit/s (800Gbit/s full-duplex) service aggregation device for the rapidly expanding metro edge and helps communication service providers (CSPs) scale their edge networks to accommodate future wholesale, business, mobile fronthaul and backhaul service needs. It's been specifically designed to support simple, cost-efficient migration from 1 to 10GbE services. The other new technology is the ADVA FSP 150-Z4806, which enables data center operators to aggregate local traffic with a comprehensive set of Layer 2, Layer 3 and tunneling protocols to interconnect through any network. The new products will be available in the first quarter of 2019. "Our high-density FSP 150-XG480 offers communication service providers more than any edge aggregation device on the market. It features advanced Ethernet OAM and Y.1564 service activation testing as well as the industry's first uncompromised full line-speed activation testing for 100Gbit/s services. This makes the challenge of migrating from 1 to 10 to 25Gbit/s services in mobile and metro networks easy," said Stephan Rettenberger, SVP, marketing and investor relations, ADVA. "Other key aspects of our FSP 150-XG480 are its phenomenally compact form factor and environmentally hardened design, eliminating the need for air-conditioning and delivering a significant cost advantage over competing products. Our FSP 150-XG480 means there's no need to upgrade for deeper racks as the 2RU device effortlessly slots into existing 300mm racks. With its high port count and comprehensive network synchronization features, this solution is ideal for expanding the metro and mobile edge." 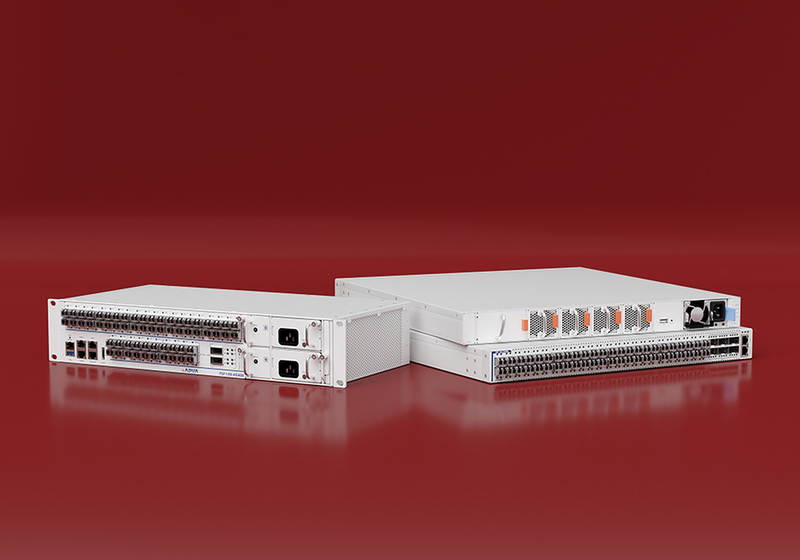 The ADVA FSP 150-XG480 is the definitive aggregation solution for CSPs seeking to expand their metro networks as they tackle phenomenal metro demand and prepare for next-generation connectivity. By mapping 10 and 25GbE into 100Gbit/s aggregated bandwidth, the solution can easily scale to meet the coming requirements of 5G mobile networks. Despite its small footprint, it delivers high-density service aggregation for the most resilient SLA-based Carrier Ethernet services. The ADVA FSP 150-XG480 also supports hardware-based time distribution, enabling ultra-precise frequency and phase synchronization. What's more, with the ability to deliver a total of 1.6Tbit/s (800Gbit/s full-duplex) switching capacity, it can accommodate the most exacting traffic requirements. "Another area where 100Gbit/s edge aggregation has become essential is the cloud. That's why we're also launching our FSP 150-Z4806, giving data center operators a simple and highly efficient multi-technology platform to connect their facilities and peer between private and public clouds," commented Ulrich Kohn, director, technical marketing, ADVA. "As we move into the IoT and 5G era, edge data centers in close proximity to end users are becoming vital for more and more latency-critical, high-capacity services. With its industry-leading design, automated provisioning and comprehensive feature set aligned with the specific requirements of data centers, our FSP 150-Z4806 is the ultimate solution for flexible provisioning of advanced end-to-end SLA-based CE 2.0 and Layer 3 connectivity as well as for interconnecting data centers over IP networks using tunneling technologies services such as VXLAN." The outstanding flexibility, capacity and operational efficiency of the ADVA FSP 150-Z4806 make it ideally suited for high-bandwidth aggregation of data center traffic. It can easily scale and accommodate a huge number of 10 and 100Gbit/s services while keeping cost, space and power consumption to a minimum. For operators looking to manage data traffic into and out of the edge of cloud networks, it offers unrivaled energy efficiency and the smallest available footprint. With its rich set of QoS and multi-layer OAM capabilities, no other technology provides the same benefits in terms of assurance and control. The ADVA FSP 150-Z4806 also offers highly robust architectures, protecting services against network or device failures with multiple resilience mechanisms. Further details on ADVA's new 100Gbit/s service aggregation solutions can be found in these slides: http://adva.li/100g-edge-slides. Watch this video for more information on the ADVA FSP 150-XG480: https://youtu.be/QU5636ZTwd4. ADVA Optical Networking is a company founded on innovation and driven to help our customers succeed. For over two decades, our technology has empowered networks across the globe. We're continually developing breakthrough hardware and software that leads the networking industry and creates new business opportunities. It's these open connectivity solutions that enable our customers to deliver the cloud and mobile services that are vital to today's society and for imagining new tomorrows. Together, we're building a truly connected and sustainable future. For more information on how we can help you, please visit us at: www.advaoptical.com.